Netflix has found is Princess Diana for their hit series The Crown. Newcomer Emma Corrin has been tapped to portray the iconic British royal in season 4 of the show. The series launched behind stars Claire Foy and Matt Smith. However, the drama will be making a leap forward in time heading into season 3, which means new actors will be brought in as they cover the life of Queen Elizabeth II. Now, a very key role has finally been filled. According to a new report, following a very wide and extensive casting search, Emma Corrin landed the coveted role of Diana Spencer, the eventual Princess of Wales. Corrin previously starred in the British drama Grandchester and is also set to appear in the DC Comics series Pennyworth. She's also on deck to make her feature debut in Misbehaviour. So, while she's not a novice, for a role this high-profile, she's a relative newcomer. The Crown creator Peter Morgan had this to say about the casting. "Emma is a brilliant talent who immediately captivated us when she came in for the part of Diana Spencer. As well as having the innocence and beauty of a young Diana, she also has, in abundance, the range and complexity to portray an extraordinary woman who went from anonymous teenager to becoming the most iconic woman of her generation." Princess Diana is a titanic figure in the history of British politics. She was the first wife of Prince Charles and was celebrated for her charity and humanitarian work. Tragically, she died in a car crash in August 1997 at the age of 36, which was subject to a great deal of media coverage around the world. Originally, the plan was to have her appear in season 3. However, the plan is now to have season 4 focus on Margaret Thatcher, to be played by Gillian Anderson (The X-Files) and Princess Diana. Emma Corrin had this to say. "Beyond excited and honored to be joining The Crown for its fourth season. I have been glued to the show since the first episode and to think I'm now joining this incredibly talented acting family is just surreal. Princess Diana was an icon, and her effect on the world remains profound and inspiring. To be given the chance to explore her through Peter Morgan's writing is the most exceptional opportunity, and I will strive to do her justice!" The cast for season 3 includes recent Oscar-winner Olivia Colman (The Favourite) as Queen Elizabeth II, Tobias Menzies (Outlander) as Prince Philip, Ben Daniels (The Exorcist) as Lord Snowdon, Helena Bonham Carter as Princess Margaret, Josh O'Connor (God's Own Country) as Prince Charles, Erin Doherty (Les Miserables) as Princess Anne, Emerald Fennell (Call the Midwife) as Camilla Parker Bowles and Marion Bailey (Allied) as the Queen Mother. 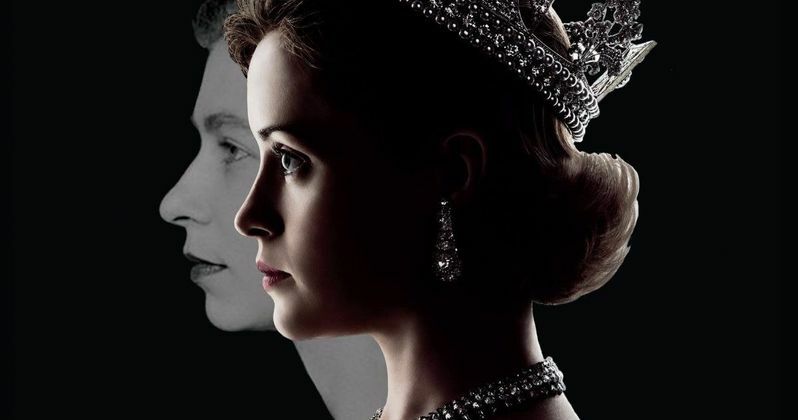 Netflix has not yet set a premiere date for The Crown season 3 but it's expected to debut on the streaming service later this year. This news was first reported by The Hollywood Reporter.